PwC’s accounting practice originated in London well over a century ago. As times changed and PwC expanded worldwide, their commitment to clients has never wavered. PwC’s clients are always supported by a global network of more than 223,000 people in 157 countries with one goal: to help their businesses thrive. 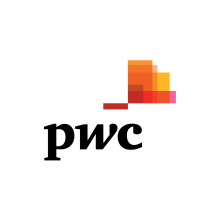 PwC’s professional services include audit and assurance, tax and consulting that cover such areas as cybersecurity and privacy, human resources, deals and forensics. They help resolve complex issues and identify opportunities across these industries.